Dorothea Lynde Dix was born in April 1802 in (what is now) Maine, and spent her formative years at the home of her wealthy maternal grandmother in Boston. Dix had fled there at the age of 12 to escape her alcoholic and abusive father. As a young adult, she became a teacher, twice opening private schools and tutoring in her own home, and twice having to cease working because of unspecified ill health, possibly neurasthenia. After spending time in England with socially active Quakers, Dix returned to the U.S. in 1840 and began a crusade to expose abuses of the mentally ill in prisons, state hospitals, and almshouses throughout this country. She was unable to get legislation passed on the federal level, but had much greater success lobbying state houses for support for better conditions for the mentally ill. For example, Dix’s visit to North Carolina in 1848 resulted, eight years later, in the opening of the public psychiatric hospital which bore her name until it was finally closed in 2011, a run of 157 years. Though without any formal medical training herself, Dix was appointed as Superintendent of Army Nurses during the American Civil War; she wanted only plain single women to serve as nurses “for their own protection,” and actively prevented the service of German and Irish nuns, as she found them to be coldly aloof and unsympathetic toward the ill and injured. She was more charitable toward Confederate wounded, earning the ire of the radical Republicans of the day. And inexplicably, she lobbied (successfully) against military pensions being awarded to army nurses after the war! Shortcomings aside, Dix raised public awareness of the rampant maltreatment of the mentally ill in the era. For this alone she deserves our thanks. 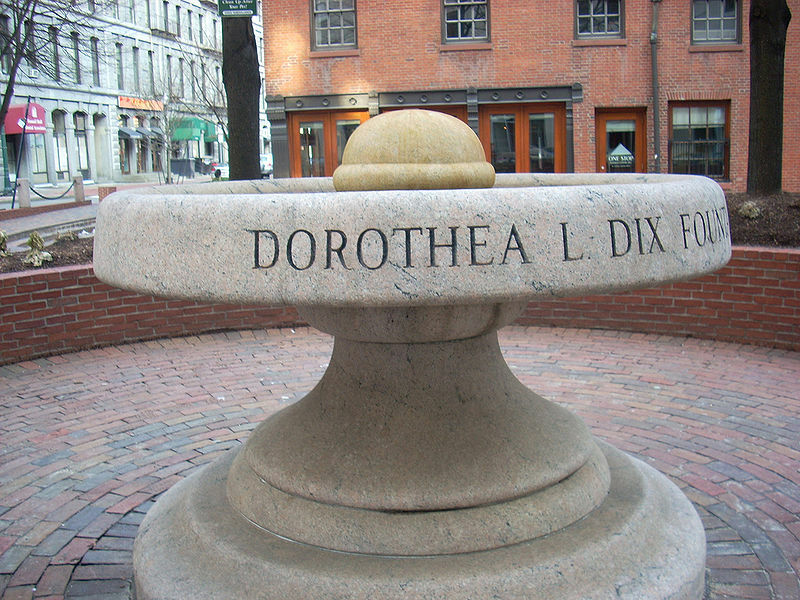 Dorothea Dix died on this very night, 126 years ago, on the grounds of the New Jersey State Lunatic Asylum, where she kept a private apartment. She was 85 years old. This entry was posted in misc history people by vadocdoc. Bookmark the permalink. I’m available to work but brown was never my color. Do you think Ms Dix would mind contacting my union for discussion? LOL ….and where’s my pension? You’re too cute. You’d be a danger/ in danger around all those male patients.